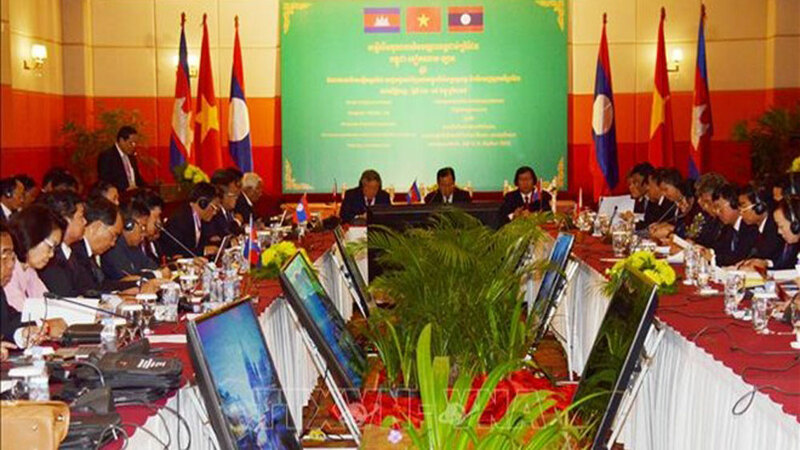 In a joint statement issued at their fifth conference of border provinces’ courts which took place in Phnom Penh, Cambodian on December 14-15, they were unanimous that in the context of more complicated and unpredictable global developments such as terrorism and territorial disputes, cooperation among the three supreme courts and courts in the border localities has had an increasing role in maintaining regional security and stability. At the fifth conference of border provinces’ courts of Vietnam, Laos and Cambodia. Since the ASEAN Economic Community was set up, trade and investment among the three countries have been thriving. However, it has triggered several formidable challenges, including the rising level of complexity and severity in criminal cases, and international trade conflicts. Thus, it needs strong bonds among the three judicial bodies and the establishment of a coordinating board to address criminal cases, cross-border disputes in civil affairs and trade will have a positive impact on the global integration process in each country. The three supreme courts reached consensus on strategies and multilateral cooperation mechanisms. Accordingly, they will enhance experience exchange in trial of civil and criminal cases, as well as collaboration in the fight against trafficking of drugs, human and wildlife animals. They reiterated that the collaboration will help promote traditional friendship, which is deemed as a key to stability and development of each nation. Before attending the conference, Chief Justice of the Supreme People’s Court of Vietnam Nguyen Hoa Binh had a meeting with Chief Justice of the Supreme Court of Cambodia Dith Munty. The first and fourth conferences were held in Vietnam, while the second and the fifth were held in Cambodia, and the third in Laos. The sixth edition of its kind is due to take place in Laos. Over 160 enterprises from Vietnam and Yunnan province of China gathered at a trade promotion conference held in the Vietnamese northern province of Lao Cai, on July 13, to discuss measures to boost the trade of agricultural products, fruit, seafood and furniture between the two sides. (BGO) – The export quantity of Bac Giang lychee through Kim Thanh International Border Gate No. 2 in Lao Cai province has reached 11,723 tonnes as of June 20, highly increasing against the same period last year.